Michelle Obama says music has always helped her tell her story. 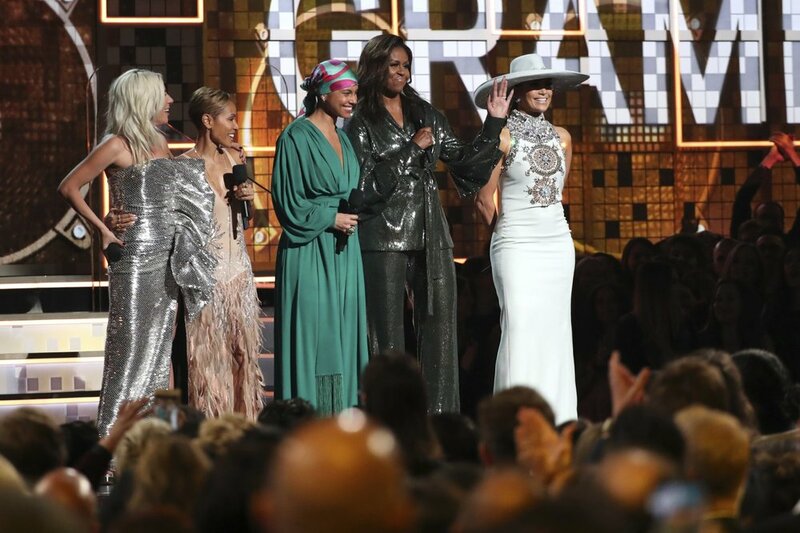 The former US first lady appeared onstage with Lady Gaga, Jennifer Lopez, Jada Pinkett Smith and Keys to say how music has impacted their lives. "From the Motown records I wore out on the South Side to the Who Run the World songs that fueled me through this last decade, music has always helped me tell my story, and I know that's true for everybody here,'' Obama said. "Whether we like country or rap or rock, music helps us share ourselves, our dignity and sorrows, our hopes and joys. It allows us to hear one another, to invite each other in. Music shows us that all of it matters _ every story within every voice, every note within every song, is that right ladies?'' Obama said.